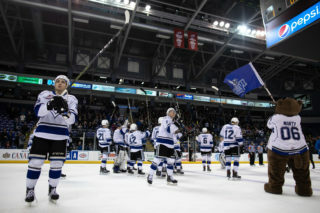 Victoria hosts former Royal Dante Hannoun & the top ranked Prince Albert Raiders tomorrow. 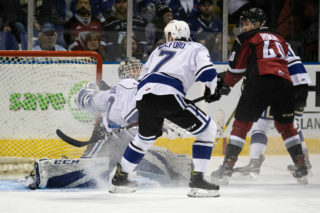 • Tomorrow’s game marks the return of former Royals’ forward Dante Hannoun who will be playing in his final regular season contest in Victoria. A video tribute will be played for Hannoun during the game. 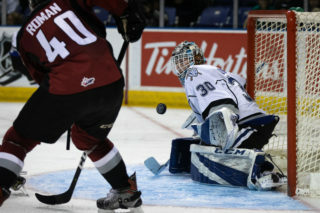 • Victoria Royals (23-19-1-0), second in BC Division vs. 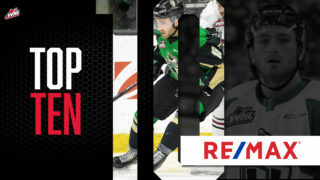 Prince Albert Raiders (39-5-0-2), first in East Division and the top ranked team in the CHL. • Puck drop for Tuesday – 7:05 p.m.
• Tuesday Tickets – bit.ly/2McOTl5. • NHL Affiliated Players – Ian Scott (Toronto), Noah Gregor (San Jose), Cole Fonstad (Montreal), Parker Kelly (Ottawa). 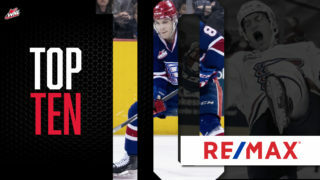 • NHL Central Scouting Midterm Rankings – Brett Leason (ranked 17th among North American skaters), Aliaksei Protas (ranked 77th among North American skaters). 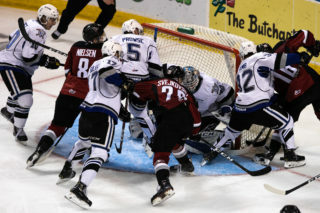 • World Juniors – Raiders’ goaltender Ian Scott and leading scorer Brett Leason were members of Team Canada at the 2019 IIHF World Junior Championship in Victoria and Vancouver. • Former Royals – Dante Hannoun (2013-18), Noah Gregor (2017-18), Jeremy Masella (2016-18) and Brayden Pachal (2015-17) all played for Victoria. • Second Intermission: Wheaton GMC Trike Race – Three fans will race tricycles around the ice for a chance to win a prize pack courtesy of Wheaton GMC.